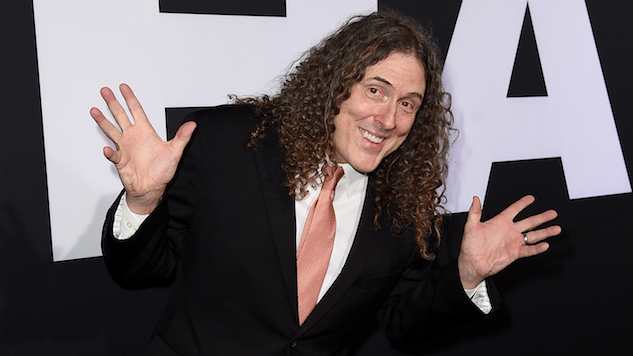 Weird Al Yankovic has announced an appropriately named Strings Attached tour, set to explore North America during summer 2019. Yankovic announced the tour, his “most full-blown, over-the-top extravaganza ever,” via Instagram. In the post, he detailed what exactly will make this tour such a spectacle, and it’s much more than just the return of costumes, props and the “big video screen.” Bringing back longtime band members Jon “Bermuda” Schwartz, Steve Jay, Jim West and Rubén Valtierra, Yankovic is also bringing—for the first time—female backing vocalists Lisa Popeil, Monique Donnelly and Scottie Haskell, each of whom have performed on his studio recordings. Also joining in the fun will be a full, locally based symphony orchestra at each stop. Two weeks from today – Monday, Nov. 12 – we’ll be announcing the dates for my 2019 tour, which we’re calling Strings Attached. We’re going directly from my most scaled-down, low-key show ever (this year’s Ridiculously Ill-Advised Vanity Tour) to my most full-blown, over-the-top extravaganza ever. Not only are we bringing back the costumes and the props and the big video screen, but also… every single night we’ll be performing with a FULL SYMPHONY ORCHESTRA. For real. No, we’re not cramming an orchestra on our bus – it’ll be a different orchestra in every city. Sometimes it will be a “branded” local orchestra (like, say, the Colorado Symphony), and other times we’ll basically just be putting together our own orchestra with local musicians. And yes, we’re back to PLAYING THE HITS… but we’ll also throw in a few deeps cuts too (including a couple songs that we’ve never played before – not even on the Ill-Advised Vanity Tour!) Of course it’ll be the same amazing band as always – Jim, Steve, Ruben and Bermuda – plus, for the first time ever we’ll be touring with female background singers (Lisa Popeil, Monique Donnelly and Scottie Haskell – incredible vocalists who have appeared on many of my studio recordings). I think it’s really going to be a special show, and I can’t wait to get started! I’m not allowed to say much else about it before the 12th, but I will say that it’s basically a 3-month summer tour, and yes, we’ll be playing a bunch of places that we didn’t get around to on the last one (hello, Vancouver, Las Vegas, and the entire state of Florida!) But sadly, I’m afraid that, once again, it’s just a North American tour – hopefully we’ll hit Australia, Europe, and other parts of the world some other time. Anyway, tickets go on sale Friday, Nov. 16 at 11:00 AM Eastern… all dates and info will be on weirdal.com. Hope to see you on the road next year!